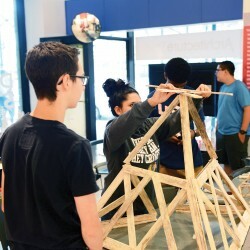 The CAC offers camps and classes throughout the year that give your 7- to 14-year-old unique opportunities to explore the built environment and dive into the design process. 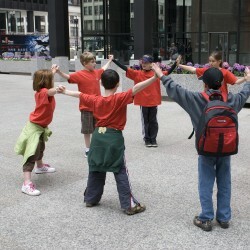 CAC Summer Camps provide hands-on explorations of the built environment over several days for children ages 7-14. 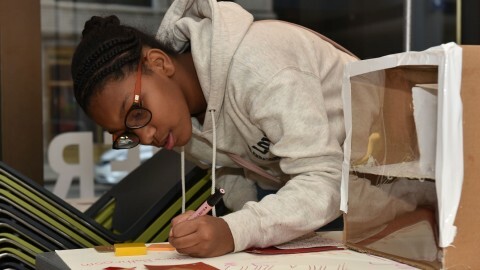 Under the guidance of our enthusiastic designers and educators, campers will solve design challenges and make models using technology and art materials. Our camps inspire teamwork and creative problem-solving, help build self-confidence and visual thinking and provide opportunities to communicate ideas using a variety of media. This interactive studio program series blends leadership development with architecture, engineering and design. Girls Build! 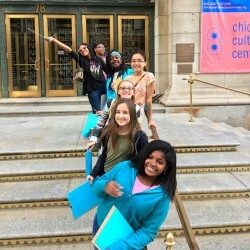 enables girls ages 11-14 to collaborate on design thinking, architecture and digital design while getting to know professional role models and work together to build a final project. 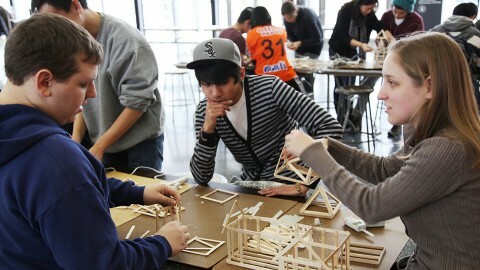 Join the Chicago Architecture Center on Saturdays or Sundays for multi-session design classes for ages 11-14. Each week of the class, we’ll dive into three hours of creative projects, hands-on design experiences and eye-opening explorations of Chicago.